EVESHAM contains 3 parishes. In one the money expended on the Poor in 1795, when the price of every article of life was nearly doubled, was £373 142. 5d., and in 1791 £365 15s. 8d. This remarkable fact can be accounted for by the voluntary subscription of nearly £200 for the relief of the Poor in 1795. The greatest sum paid to any family has been 8s. 6d. a week to a man with 6 children. The rate is 4½d. in the pound on land, and 3d. on houses. Price of provisions somewhat higher than at Inkborough. The earnings of a common labourer are on an average 1s. 4d. a day. Broadway had a workhouse in operation in 1820. Abbot's Grange, a former summer home of the monks of Pershore Abbey, is said to have once been use as the village's workhouse. Worcestershire: Ab Lench, Aldington, Badsey, Bretforton, Broadway (2), Church Honeybourne, Church Lench, Cleeve Prior, Evesham All Saints (2), Evesham St Lawrence (2), Evesham St Peter's, Great and Little Hampton, Hatch Lench, Sheriff's Lench, Harvington, North and Mid Littleton, Norton and Lenchwick, Offenham, Rous Lench, Sedgeberrow, South Littleton, Wickhamford. Gloucestershire: Ashton Underhill, Aston Somerville, Aston Sub-Edge, Childs Wickham, Cow Honeybourne, Hinton, Pebworth, Saintbury, Weston Sub-Edge, Willersey. The population falling within the union at the 1831 census had been 12,567 with parishes ranging in size from Church Lench (population 69) to Evesham itself (combined parishes total of 3,991). The average annual poor-rate expenditure for the period 1833-35 had been £6,278 or 10s. per head. Evesham Union workhouse was built in 1837 at a site on the south bank of the river Avon at Little Hampton, on the south side of the road now known as Waterside (formerly Avonside). It was based upon a cruciform layout to designs by John Plowman of Oxford. The building, for which the Poor Law Commissioners authorized an expenditure of £3,200, was to accommodate up to 200 inmates. Its layout can be seen on the 1903 OS map, which also shows some of the later additions to the site. Evesham workhouse site, 1903 1:2500. In 1870, a separate 25-bed infirmary was built to the east of the site at a cost of £1200. A chapel was also added. In 1901, a further infirmary building was added at a cost of £5,500. This was subsequently extended in 1932 at a cost of £8,298. By this time, the workhouse had become officially known as first a Poor Law Institution, and then as a Public Assistance Institution. Older residents of Evesham who have to visit the Hospital still refer to it as the Workhouse or the PLI (Poor Law Institution). In 1939, An EMS (Emergency Medical Scheme) hospital was erected on the site, and between 1940 and 1946 the hospital was taken over by the RAF for the treatment of injured airmen. After 1938, the establishment became Avonside Hospital, now renamed Evesham Community Hospital. Except for the chapel and the infirmary building of 1870, all the workhouse buildings have been demolished and the area is used as a car park. The old infirmary building is used by the hospital's catering services. 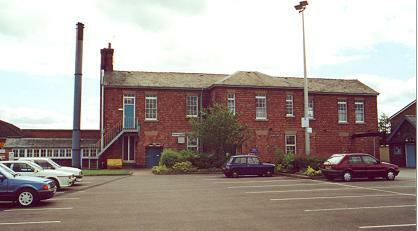 Evesham infirmary building, from the north-west, 2000. © Peter Higginbotham. The gothic-style chapel now houses a pharmacy. 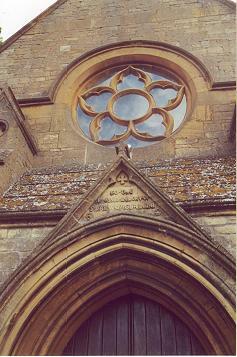 Above the porch is a stone inscribed To the Blessed Memory of S. Mary Magdalene . 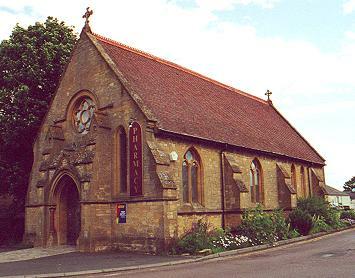 Evesham workhouse chapel, from the west, 2000. Evesham former workhouse infirmary wing, 2000. From 1904, to protect them from disadvantage in later life, the birth certificates for those born in the workhouse gave its address just as 5 Avonside, Hampton, Evesham. John Orchard of Cropthorne worked close to the workhouse in Preedies the Tobacconists, and can remember the Saturday morning turnout when the vagrants both male and female were expelled from the Evesham Institute and made their way en masse, probably to the Worcester workhouse. One particular inhabitant of Evesham, known by the name Danny (John does not know Danny's surname and rather thinks that neither did Danny), was very small in stature, but had a very cheerful outlook on life. Danny used to run errands for the elderly inhabitants, fetching their tobacco and snuff. Following John's military call up, he recalls meeting Danny while on leave and about to return via Evesham railway station. Danny was so delighted to see John again that he insisted on escorting him all the way to the station - much to John's embarrassment thinking that Danny might be mistaken for his father or other family member. Perhaps this illustrates the stigma still prevalent at that time towards workhouse inmates. 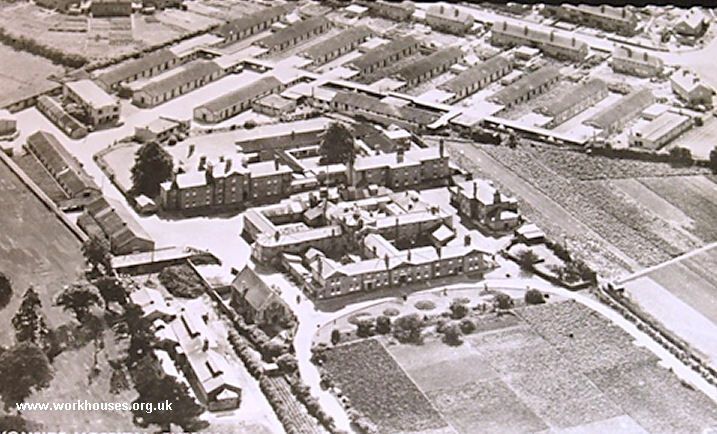 During his military service, John also recalls being treated at the Evesham workhouse when it was in use as an RAF hospital. The so-called tramps ward, which included lock up cells, was situated on what is now the Riverside Practice Doctors' Surgery just in front of the old chapel. Seemingly this was a two-storey building, with the cells on the ground floor. These were used when an inmate was drunk or in any other way misbehaved. If his behaviour became too bad the local constabulary were called to take him away. One local legend, first told to me by Mrs Johnson, concerns a vagrant who was working on the construction of a local road bridge. After presumably becoming drunk and disorderly and unable to pay a fine, this person ended up in the work house. Following the standard practice for all such receptions to be given a bath and clean clothes, it was discovered, much to the staff's amusement and probably embarrassment, that the man was in fact a women in disguise! By the early 1920s, the Evesham Union had set up a pair of children's cottage homes, one for boys and one for girls, on Peewit Road in Great Hampton, about half a mile west of the workhouse. Each home could house 15 children. The building no longer exists. Evesham cottage homes site, c.1903. Worcestershire Archive and Archaeology Service, The Hive, Sawmill Walk, The Butts, Worcester, WR1 3PB. Relatively few records survive for Evesham Union — it has been suggested that many were sold off for pulping during the Second World War. Holdings include: register of births 1914-44; register of deaths 1866-1914; register of children 1901-1930; etc.